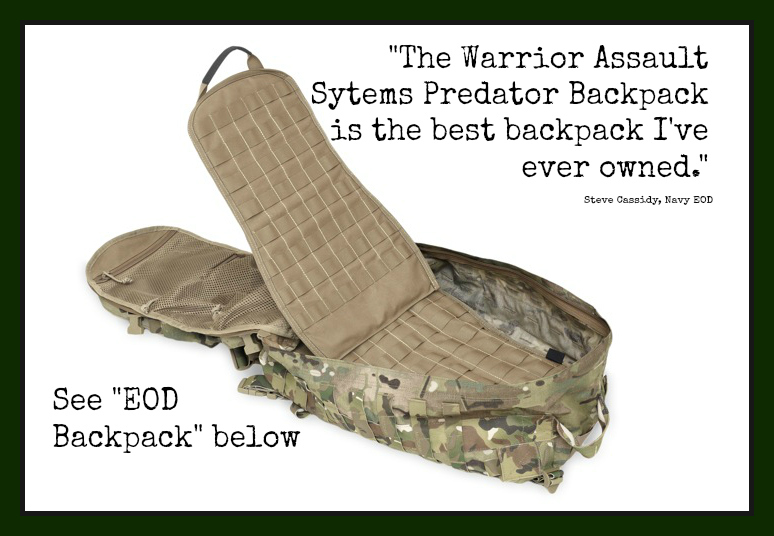 EOD Backpacks come in all sorts and sizes but do they really meet the needs of the EOD Tech? Every mission is different and we're asked to perform "the difficutl immediately and the impossible by appointment only." Hopefully, we have the specific backpack you're looking for. If not, let us know and we'll get to work on it. Our toll-free number is 877-EOD-2626. We carry a line of proven EOD Backpacks that will give you the performance you demand. We'll be adding EOD/IED specific kits to the catalog within the bags listed below. Some of these will be the EOD bags that we issue to the Techs that take our Advanced IED Electronics, backpacks we supply to our Embassies as part of our deminning kits or other EOD specific training and operations.